Be a Voter - And Register to Vote Today! 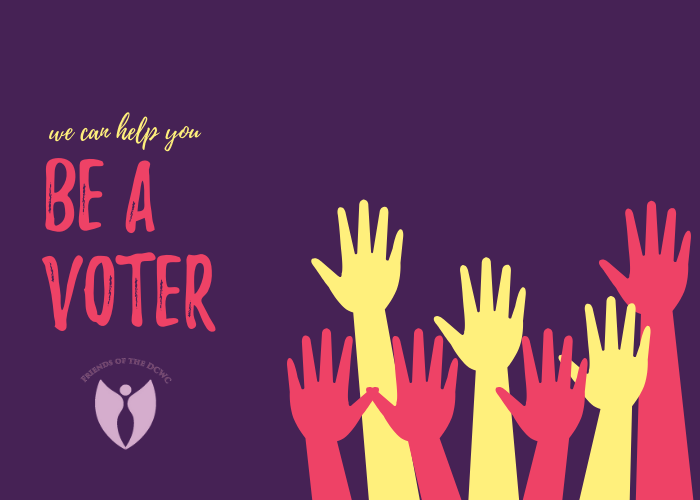 Updated October 31, 2018: Make a plan to be a voter! Ballotpedia, a digital encyclopedia of American politics and elections. BallotReady, which lists every ballot and referendum and shows information on the candidates. All sites offer nonpartisan information to help you prepare for the election. Uber and Lyft are offering free or discounted rides on Election Day if you are going to vote. If you live in a city with a ride-sharing program, check to see if they are offering free bikes on Election Day - Indego in Philadelphia is one of many programs providing bicycle transportation options on Tuesday. You can also check out Drive the Vote and Carpool Vote, or call your local board of elections or favorite candidate ahead of November 6 to see if they have any recommendations. General elections are just around the corner, and if you live in Pennsylvania and are eligible to vote, you need to be registered by October 9. You can register through Pennsylvania's website, via our site powered by Rock the Vote, or by mailing in an application. If you live in another state, please visit our site via Rock the Vote to find your state's information. On November 6, you can vote for a candidate to become Pennsylvania's Governor and Lieutenant Governor. You can also vote for candidates for the US Senate, US House of Representatives, State House of Representatives, and some state senators. There may be local races as well. You may be able to find a list of people running for office at Ballotpedia. With the recent redistricting decision and multiple retirements, you may not be familiar with the candidates up for election. Please take a look at the new districts to see who you will be voting for this year. IN MOST CASES, YOU WILL NOT NEED IDENTIFICATION TO VOTE IN THE PENNSYLVANIA ELECTIONS. Only first-time voters, voters using a new polling place, and voters using absentee ballots will need to provide ID. If you are a first-time voter, submitting an absentee ballot, or voting at a new polling place, you should bring an approved form of identification. To see all approved forms of ID, visit the PA Department of State voting website. Acceptable forms of identification for absentee voters are available here. In Pennsylvania, voters must be registered 30 days prior to each election. If you are not sure if you are registered, you can confirm your registration status in the Pennsylvania voter registration database. If you are not registered, please register today - even if you missed the deadline for the General Election In Pennsylvania, you can register now to be ready for the primaries next year. You can now register to vote online, or you may register in person with your county or by mail. If you can't make it to your polling place in person on Election Day, you may be able to vote by absentee ballot. To do so, you must request an absentee ballot by 5 PM on the Tuesday before the election. In certain emergency cases (such as unexpected illness or disability), you can submit an emergency application for an absentee ballot no later than 5 PM on the Friday before Election Day. You will need approved identification to vote absentee. To vote by absentee ballot, you must already be registered in Pennsylvania. Learn more about the process and download your application here. The Pennsylvania Department of State offers an online tool to help find your polling place. In Pennsylvania, the polls are open from 7 AM to 8 PM. You can find a demo of the voting machines used at your polling station here. What Should I Bring With Me When I Go To Vote? If you are a first-time voter or if you are voting at a new polling place, you should bring an approved form of identification. To see all approved forms, visit the PA Department of State voting website. If you have any issues on Election Day, please call 1-866-OUR-VOTE. Be sure to bring this number with you to the polls! Under the Voting Rights Act of 1965, it is illegal for any state or local government to discriminate against racial, ethnic or language minority groups by denying them the right to vote. In Pennsylvania, you may ask for assistance to vote as long as that assistance is provided by someone other than your employer (or their agent), your union head (or their agent) or the Judge of Elections. You may choose the person who will assist you - polling workers do not have the right to choose that person for you. 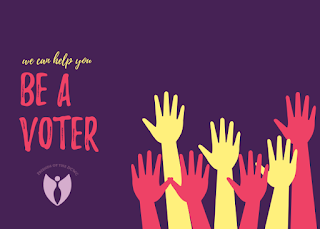 The first time you need assistance, you will need to fill out a form provided by the Election Official at your polling place. What if I Have Problems Voting? If your name is not in the books at the polling place, or if you have any problems voting, please work with the Election officials to make sure you are at the right place. If you are at the correct polling place but your name is not on the books, you can vote by provisional ballot. The Board of Elections will examine the provisional ballots within seven days and will count the votes if you were properly registered and voting at the correct polling place. If you are having problems and are at the correct polling place, do not leave without casting a provisional ballot.